Vous voulez la vidéo de la boucle Hot Wheels grandeur Nature ? 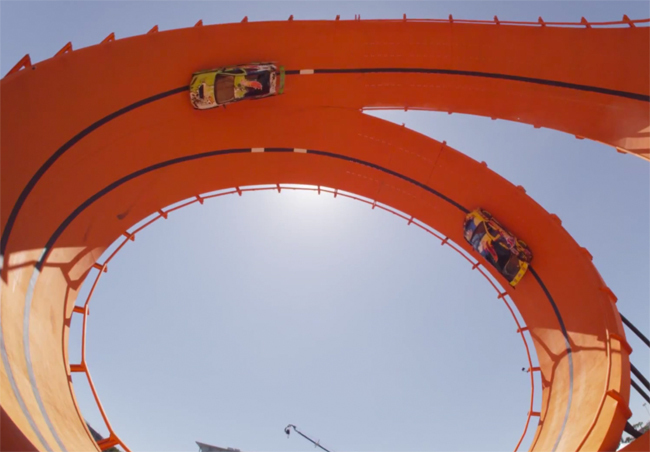 Team Hot Wheels drivers, Tanner Foust and Greg Tracy set a Guinness World Record racing two vehicles through a six-story double vertical loop at the 2012 X Games in Los Angeles! It's Hot Wheels for real!